Where are you playing rugby next season? Railway Union RFC is recruiting players across all teams and is looking for ambitious players who can add to the club on and off the field. We have teams to cater for all abilities and fitness levels, with the ability to progress as you get better. Regardless of what team you play on in Railway, you will be valued and involved – we truly operate as ‘one club’ and you will be part of a club, not a team. We have an excellent coaching team and all our head coaches are IRB/IRFU Level 2 qualified, whilst all coaches have a minimum IRB/IRFU Level 1 qualification. The coaching team is young and progressive, is open to new ideas, and aspires to play an open and ambitious brand of rugby across all teams. We have a very vibrant social scene, with an organised social event at least every month (poker nights, quiz nights, Ladies Day, race nights, bake-off, Halloween and Christmas parties, annual ball, etc), as well as ad-hoc nights out. 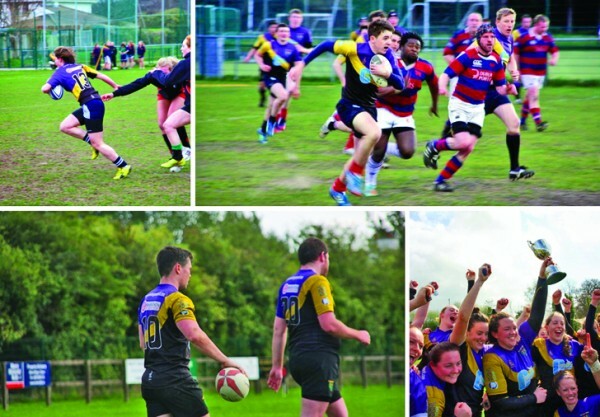 We have a pre-season club tour, where our Men’s, Women’s and U20s teams travel for a pre-season match and team building activity over a weekend in September. We also do a club end-of-season tour (we were in Madrid in 2013) and travel to the Kinsale 7s for the May Bank Holiday weekend. Our Player Welfare programme, led by Leinster Rugby doctor Professor John Ryan and our Player Welfare Team, is second to none. We have a huge amount of functional equipment, including power bags, prowlers, kettle bells, sleds, ropes, and Olympic bars and free weights. We are currently rebuilding our gym to develop a modern, state-of-the-art functional gym and medical room, with an estimated completion date in December. And we’re successful. We’ve won 14 trophies in two seasons, with every team in the club having won at least one trophy. All teams will be aiming at continuing this success in the 2014/15 season.